In the applet below, a quadrilateral is shown. You can move the vertices of this quadrilateral wherever you'd like. Interact with this applet for a few minutes to identify any patterns/relationships you notice among the parts (sides, angles, diagonals, midpoints, etc.) of a quadrilateral. 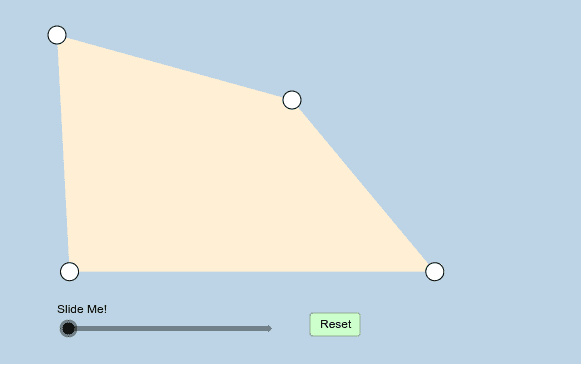 Be sure to change the locations of the quadrilateral's vertices each time before and after re-sliding the slider!